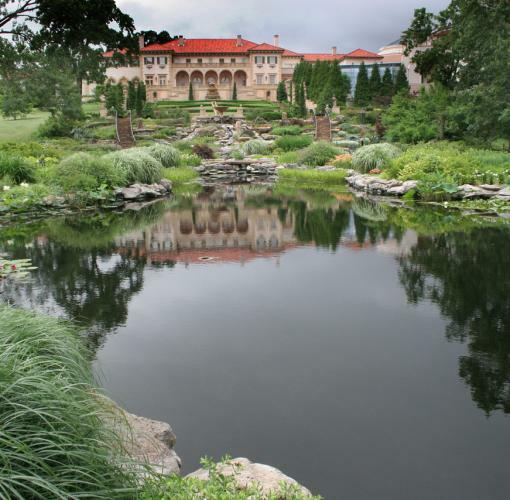 Formerly the home of oilman Waite Phillips, Villa Philbrook was given to the city of Tulsa and restored to preserve the grandeur of the 1920s. Philbrook exhibits more than 8,500 works of art at the original location and now boasts a second location downtown, featuring contemporary art. The museum has 23 acres of exquisite English gardens and serves as many as 150,000 visitors annually. Villa Philbrook | 2727 S. Rockford Rd., Tulsa, Okla. | (918) 749-7941 | www.philbrook.org Philbrook Downtown | 116 E. Brady St., Tulsa | (918) 749-7941 | www.philbrook.org Closed major holidays. Admission charge.